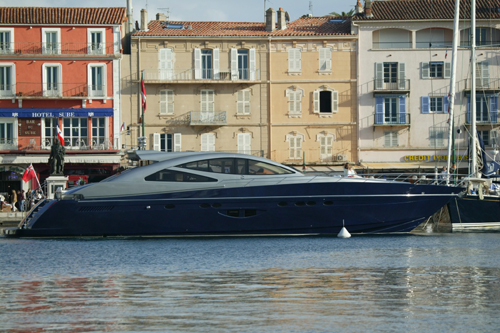 ‘Where Dreams have no End’ is a 24,40m (80') long Royal Denship open 80 motor yacht as designed by Bill Dixon Design. 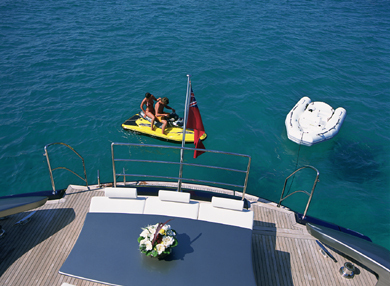 This Royal Denship 80 cruises in the Mediterranean with up to 6 guests. 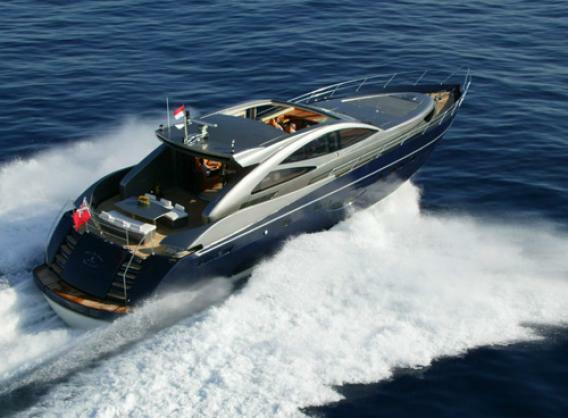 This performance motor yacht’s main propulsion comes from twin Caterpillar 3412E diesel engines (1400hp each) which give her a top speed pf around 30 knots and a cruising speed of 25 knots. 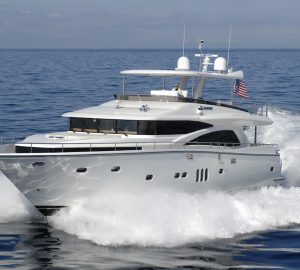 In 2007 / 2008: the motor yacht underwent the installation of satellite TV, wifi antenna for internet connection while in a hotspot, Ipod connections. There was also engine room maintenance including painting overall. She also had isolated body repairs. 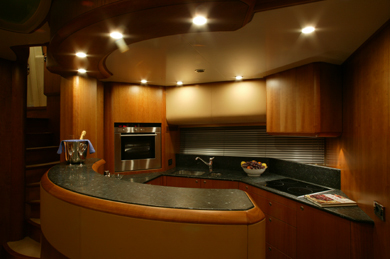 Touch ups and coating of sun bed perimeter, transom, exterior table, anchor, as well as the installation of a hardwood floor in the saloon. 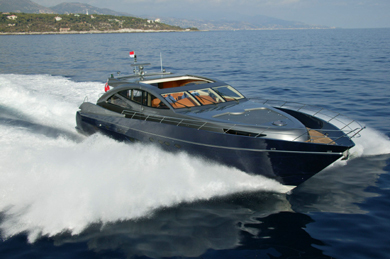 ‘Where the Dreams have no End’ being a Royal Denship open 80 represents all that is the finest from this European yacht builder. Her finish is absolutely first class and second to none. 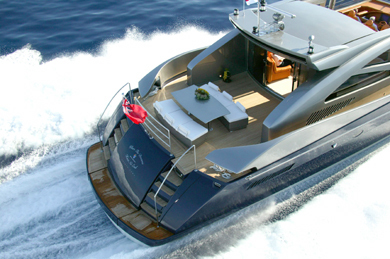 The Ryal Denship 80 also offers innovation through Bill Dixon Design such as her custom designed entertainment system, its modular built engine room, or the large sliding roof that makes the upper deck salon equally suitable for days and evenings. 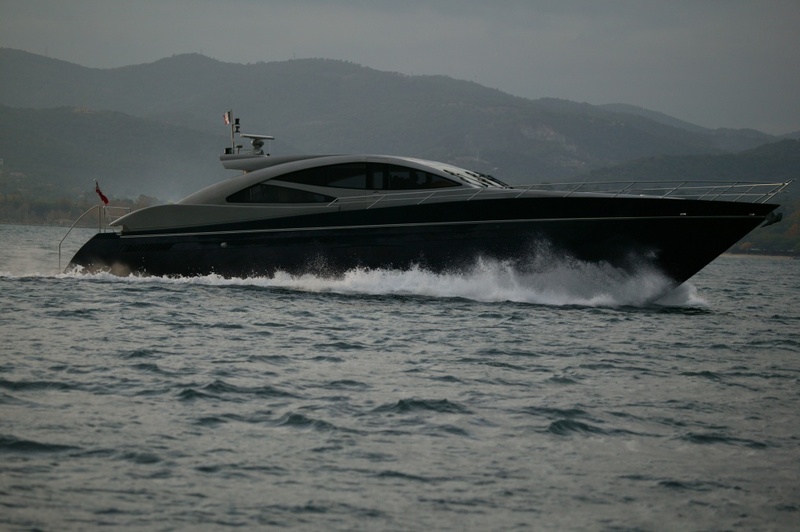 As a result, she was awarded the prestigious "Superyacht of the year 2004" by the Superyacht Design Society in the 23 to 32m class. 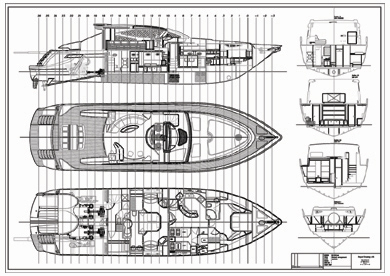 Her spacious interior below decks includes a large aft owner's stateroom, a double cabin amidships, and a VIP guestroom fore. 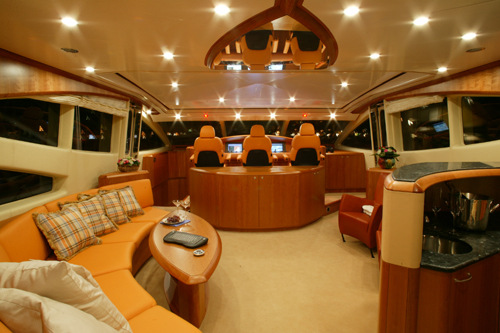 The motor yacht has been equipped with a comprehensive state of the art Lantic entertainment system for music and video including movies, and access to the navigation displays such as the chart plotter and the radar screens. 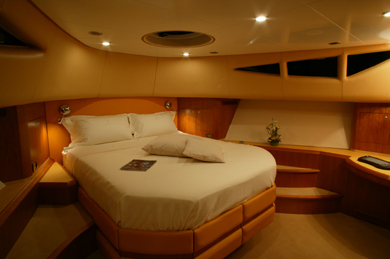 Motor Yacht ‘Where the Dreams have no End’ has accomodation for six guests. 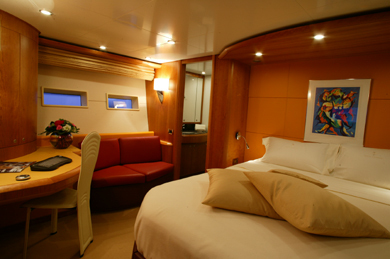 The Owner's stateroom is aft, the double cabin is amidships and the VIP guest stateroom is forward. 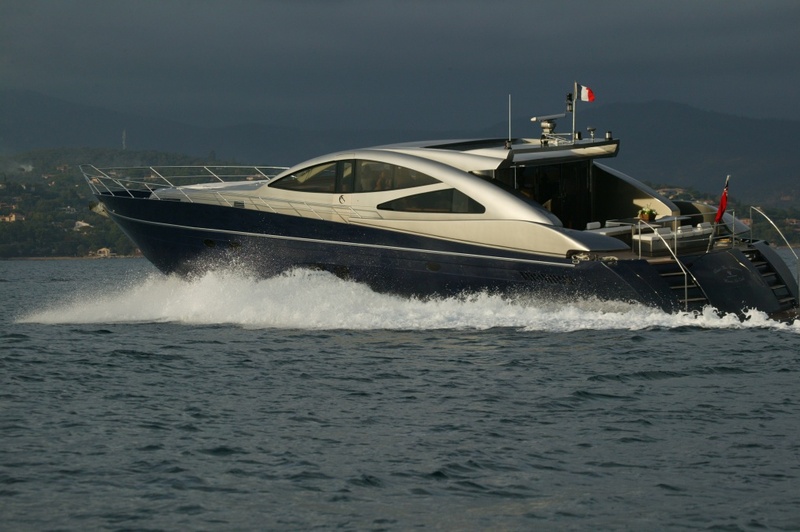 Tenders & Toys Bombardier 70hp jetski, Zodiac 70hp jet-tender, accommodated in rear garage, waterskis (adult), wakeboard and wake skate. 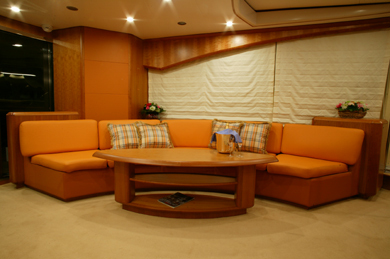 Audio Visual Equipment Integrated state of the art Lantic entertainment system with superb sound system and flat screen TV in the saloon and individual flatscreen consoles in each cabin, with individual access to CD/DVD library, radio and internet (when wifi available).